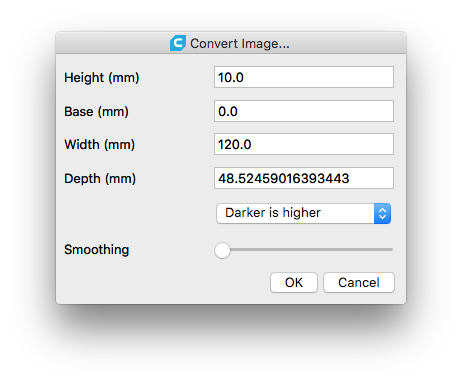 When I use Cura 3.1 to open an image file a dialog appears called "Convert Image...". On that screen is a slider for "Smoothing". When I drag it, I don't see any value (i.e. 1 - 10) associated with it. Nor am I finding a decent description for what it actually does. Just a tool tip displaying "The amount of smoothing to apply to the image". Can anyone shed more light on this, or point me to a more detailed Cura reference? The official documentation seems to leave out a lot of detail, or I'm just not finding the right place too look. Thanks.